So, one year ago, I reviewed Left 4 Dead, and now, one year later, here we are, with me reviewing Left 4 Dead 2. When I reviewed the prior game, I walked away from it feeling as though it was an interesting and enjoyable game, but was limited a bit in variety and scope, and that a sequel or some expansions could potentially help to expand the experience a bit. Well, the promised expansions never materialized, as Valve saw fit to instead put their effort into a sequel, developing the work spent on the original game into, well, what the original game should have been. Even the tagline, “Better Apocalypse”Â, seems to indicate that perhaps Valve was aware that maybe the first game wasn’t quite everything it could have been (or I could be reading into it a bit too much), and implying that THIS TIME, things would be better. Well, far be it from me to jump on the bandwagon of people boycotting the game because the enhancements made to Left 4 Dead 2 weren’t provided as free expansions for the first game; I never expected the expansions to be free in the first place, and if the sequel was significantly better, well, I was fine paying my hard earned money for it. Well, the good news is that the game is a good improvement over its predecessor, and features plenty of new additions to make it worth playing if you’re a fan. The bad news, however, is that in many cases it doesn’t feel like enough. Left 4 Dead 2 takes the original concept of the first game, of having four characters running through a series of zombie films, and expands upon on it a bit by making the films an actual flowing narrative from one to the next. You take the role of one of four survivors: Ellis, a country boy with a penchant for telling dopey stories, Coach, a school coach with a friendly nature, Nick, a self-interested jerk, and Rochelle, a street tough lady, as they survive the zombie apocalypse. 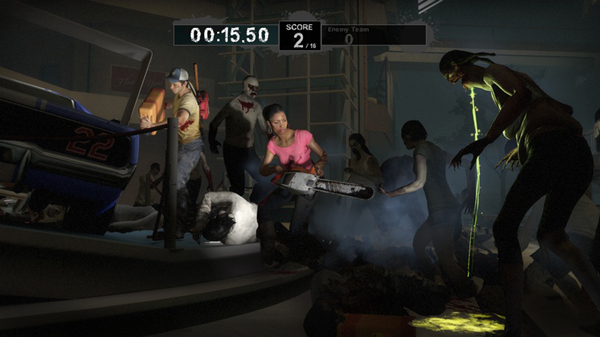 In the first game, the characters ran through the stages, with each presenting itself as something of a self-contained film about the survivors making it to the evacuation point. This time around, the characters actually go through the five stories in order, with each story starting up where the last one ended, giving the episodes a somewhat more cohesive feel as the characters occasionally reference elements from prior chapters and such. There’s still not a lot of a story to the game, mind you, as you’ll mostly only get storyline bits at the beginning and end of a mission, along with a few snippets here and there throughout, but this isn’t entirely a bad thing. Zombie holocaust films are more about the experience than any sort of character development, and so too is Left 4 Dead 2, and the lack of exposition and narrative works in its favor in that regard. There are also plenty of modes to play around with, more so than in the prior game, including the normal online multiplayer mode and the single player campaign, Realism mode, Survival mode, and two different Versus modes, making for plenty of play options for fans online shooting to jump right into. Visually, Left 4 Dead 2 looks like a somewhat improved version of its predecessor, and while it’s still not exceptionally visually impressive, the frame rate is consistent and the game generally looks good enough to be pleasing. The character animations are still as solid as ever, and the various zombies you meet and kill, both new and old, look a good bit more diverse than in the prior game, giving a better sense of running through a massive zombie invasion than before. The environments are once again very impressive, and are a bit more diverse than in Left 4 Dead while still retaining the menace and terror the prior game made such great use of, and the special effects are still outstanding, which help to make the game pleasant to watch in action. The aural presentation once again works in the favor of the atmosphere, thanks in large part to the once again fitting music that really sets the tone for zombie-killing mayhem. The sound effects, from the grunts and screams of the different zombies to the cackling of a Jockey or the crying and screaming of the Witches also really sets the mood well and makes even the easiest difficulties pulse-pounding at all times. The voice acting in Left 4 Dead 2 lives up to the pedigree of the prior game and then some, as the character voices are as lively and emotional as ever, but with more of a personality to them. The characters will tell little stories and make amusing little quips as you navigate the different stages, giving them more of a personality than you’d expect, and the end result is a group of characters that, even if you don’t care about them per say, you can find believable. For those that missed the first game, the gameplay of Left 4 Dead 2 is strictly standard FPS fare in most respects, like its predecessor. The left stick moves, the right stick aims, the triggers fire your guns and initiate melee attacks to knock enemies away. 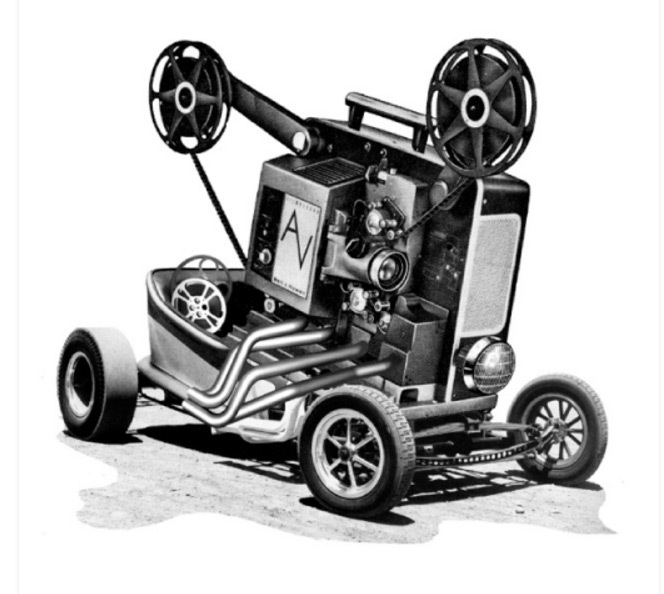 Jumping is done with A, ducking is done with the left bumper, and reloading is as simple as pressing the B button, as you’d expect. You’re given a flashlight and grenades in addition to your normal ballistic weaponry, and assuming your survivor has access to these things, you can switch between explosives, pistols (which have infinite ammo), melee weapons (most of which are also infinitely usable) and heavier weaponry (machine guns, shotguns, and sniper rifles, all of which have limited ammo but pack a heavier punch) at the touch of a button, again, making things simple to work with and play. For most folks, this is all old hat, though Left 4 Dead 2 does offer a couple of additional tools to work with that make it a little more interesting than one might think at first. For one, you can carry around healing items to use at any time in the field, on yourself or others, in numerous forms, from Health Kits (which heal you for real) and Painkillers (which simulate being healed but deteriorate as time goes on) to Defibrillators (which bring dead players back to life) and Adrenaline Shots (which boost response time and abilities), among others. On one hand, these allow you to patch up yourself or teammates as you go, but on the other, this puts a premium on healing, since it rarely turns up as you go, and making a decision about what is best to have at all times can be difficult. For another, the game levels are broken up into stages for you to progress through, which allow you to load up on gear as needed; at the beginning of each stage, you’ll find ammo, weapons and healing items to replenish your supplies, allowing you a clean start at the beginning of each stage, which will inevitably be ruined sometime before you reach the next one. 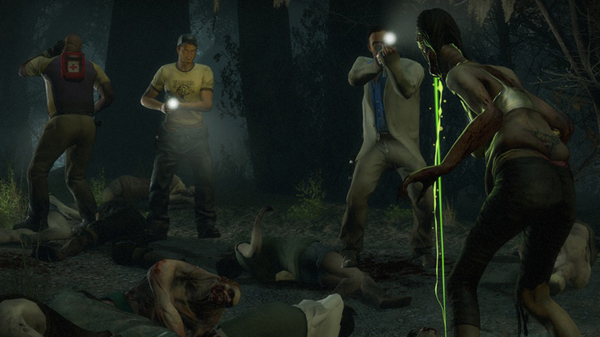 Left 4 Dead 2 also features some new tools to play with aside from the aforementioned healing item expansions. The D-pad allows you to kick in your flashlight by pressing up, and each other direction chooses one of three other items depending on what you’ve picked up. Right can be assigned to health kits, the defibrillator, or ammunition packs that can be deployed to arm your friends with flaming and incendiary ammo. Left can arm your bomb, depending on whether you grabbed an attention-attracting pipe bomb, the Molotov to set everything ablaze, or the Boomer Bile for diverting zombie attention to other targets. Down arms either the pain pills or the adrenaline shot, if you have either one. The secondary items aren’t the only things with improved variety, however, as the main weapons also received a massive expansion this time around. There are now three different shotguns and machine guns to equip, with each improving in fire rate, damage and reload speed as you upgrade, and you also now have two different sniper rifles to choose from, as well as two different pistols and, occasionally, a grenade launcher for fun. The most interesting addition, of course, is that of melee weapons, which take the place of your pistol. The melee weapons tend to do significantly more damage than pistols and require no reloading, but you have to be at extreme close range to use them, making them less than ideal against special Infected units. You can find baseball bats, crowbars, frying pans, guitars, nightsticks, ninja blades, chainsaws and other fun weapons to obliterate the undead with, and while the chainsaw sadly has a finite usage count (it can run out of gas), everything else is pretty much usable as long as you wish, so if you want to run around playing Ronin Survivor and cutting down the enemy horde, go nuts. 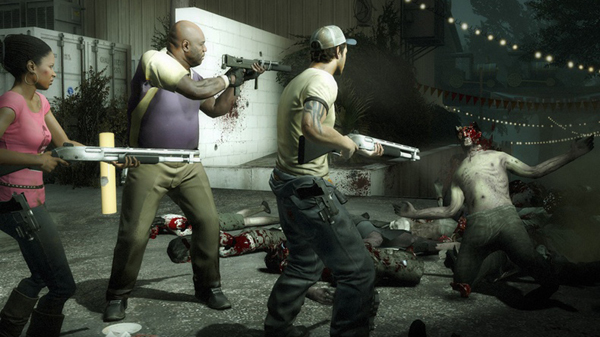 The big selling point of Left 4 Dead 2, as with its predecessor, is the team aspect; no matter what mode you play through the game in, you’ll be on a team with SOMEONE, be they the CPU or another person. The CPU allies have been improved a good bit over last year’s effort, and while they’re still terrible at using explosives, they’re much better about keeping you healed and shooting enemies dead. Of course, the REAL fun of Left 4 Dead 2 is playing it with friends, and once again, it’s a great time with a full compliment of friends wasting the undead… or other survivors. The experience itself becomes somewhat more than one would expect it to be with the addition of other players; aside from the obvious team tactics and customized squad outfitting (IE who carries what), the game simply feels more team-oriented. Friends can get trapped by numerous kinds of zombies and will often need a friend to bail them out, waves of zombies will be best felled by all players working in tandem, and many of the stages this time around are more readily designed in a way that makes team play not only ideal, but mandatory for survival, making the multiplayer mechanics even more interesting and vital than before. It’s also worth noting that the game itself is essentially DESIGNED for multiplayer, meaning that you’ll play the same missions in solo and multiplay, which makes the experience more focused towards multiple players (since the whole game is specifically designed to work with four players at a time). 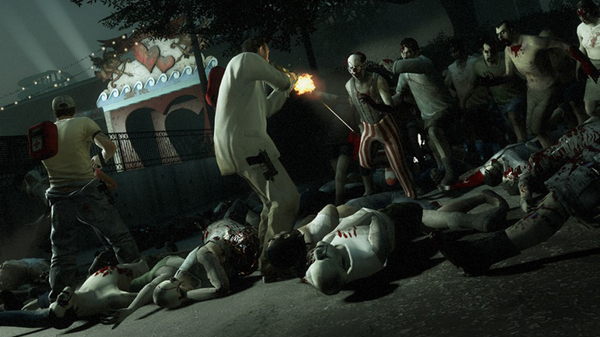 Aside from playing through the campaign alone or with friends and strangers, there are also a bunch of additional modes to play with, three of which are making their debut in Left 4 Dead 2. Versus mode makes its return, and as in the first game, you can play as one of the four survivors or one of the now SEVEN different kinds of specialty zombies out to kill them. Joining the Hunters (melee fighters), Smokers (ranged trappers), Boomers (close-range nasties) and Tanks (think about it) are the Jockey, who can ride Survivors into groups of undead, the Spitter, who spits acid and bleeds acidic bile when killed, and the Charger, who grabs Survivors and runs around whalloping them into walls and such for massive damage. 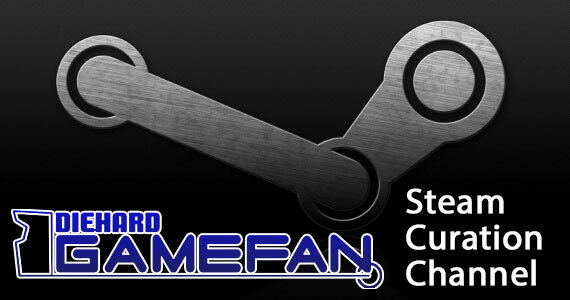 Scavenge is a new online versus mode where the Survivors try to collect fuel and escape while the Infected try to stop them, making for faster play than regular Versus mode. There’s also Survival mode, which works exactly as you’d expect: Up to four players go up against a never-ending wave of zombies and try to survive as long as they can, which is great for fast pick-up games when you don’t want to spend time making up teams, as you can jump right in and kill everything in sight. The Campaign missions are also more in-depth than in the prior game, and can take multiple hours to plow through depending on the mission at hand, making for a more meaty game experience. Finally, there’s Realism mode, which is essentially the normal Campaign with several of the gameplay concessions removed: allies and items are no longer lit up, zombies take significantly more body damage to kill (though headshots are still good), you’re no longer warned when allies are under attack, and the game experience is generally significantly harder, forcing you to rely on teamwork and sticking together at all times. So, essentially, Realism mode lives up to its name, making for an experience that’s very much like playing through something like Dawn of the Dead, which is a great addition. So, with a significant amount of variety added to the game, between the expanded stages, expanded Infected types, expanded weaponry, and expanded game modes, Left 4 Dead 2 is a superior product to its predecessor, but it’s not without its flaws. 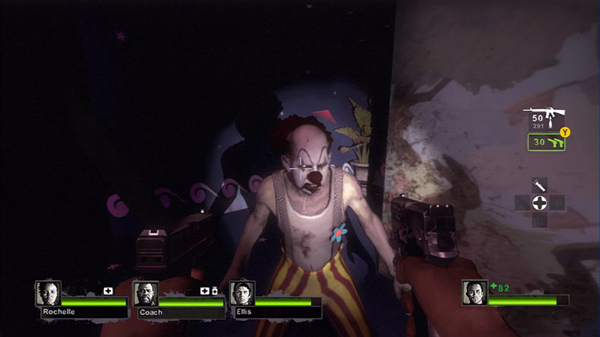 The significantly different multiplayer modes help to improve the issue of repetition the first game suffered from, and the expanded amount of stages also help significantly, but as in the first game, the four characters, while visually and aurally different, are still functionally identical; no one has any interesting skills that make them useful or give them a moment to shine, like lockpicking or greater strength or something, which, aside from being a missed opportunity for dramatic scenes, also leaves the characters feeling somewhat generic. The weapons often feel the same, as well; while the different machine guns have different fire rates and ammunition counts, for instance, they’re still all basically machine guns, as the shotguns are all shotguns and the rifles are all rifles. The Melee weapons are aesthetically different, in that some brain zombies while others slice them apart, but they essentially all one-hit kill generic zombies and don’t offer significant differences from one another to make one any better than any other except from a visual standpoint. It’s nice that there are different models of weapons, absolutely, but offering some more VARIETY in the weapons would be nice, since there are, at best, only a few TYPES of weapons in the game, with the variety coming from there being different skins for the types of weapons instead of there being different classes of weapon altogether. The bigger problem, however, is that while Left 4 Dead 2 is a notable improvement over its predecessor, it’s hard to swallow as a sequel at times because it feels like the same game with some minor improvements tacked on. When Left 4 Dead came out, it was touted that we would be receiving expansion packs for the game to further expand the experience, and now, a year later, we’re essentially receiving those expansion packs as a full-priced sequel that essentially feels like the same game. That Valve made good on their promise of giving us expansion packs for the first game is good, as is the fact that those expansions were actually decently packed with content, but that doesn’t magically make this game feel any less like a full-price expansion pack. Are the melee weapons nice? Certainly. Do they make up for the fact that the core game is functionally the same, from the concept to the variety of ballistic weaponry to the mechanical implementation and beyond? Not so much. It’s not that Left 4 Dead 2 is bad so much as that it’s more of the same game with no notable changes attached to what is, except in the few locations where it’s on sale, a FULL PRICED GAME, and while most people will probably be fine paying for an upgraded version of a good game, being asked to shell out full price for what the first game SHOULD HAVE BEEN stings a bit. 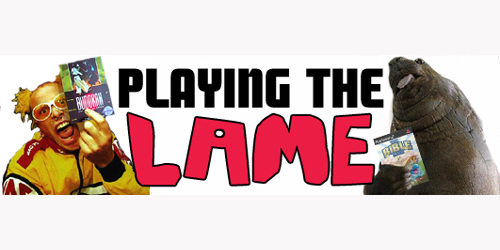 Simply releasing the five new levels as add-ons for the first game, along with an add-on that adds in the new zombie classes, gun skins and melee weapons would have probably been cheaper for the player than buying a whole different game, and the fact that this means that players will now be in a position where they could end up buying downloads for BOTH titles… well, let’s just say that this doesn’t make Valve look any better and move on, yes? It’s not that Left 4 Dead 2 is in any way BAD, mind you, so much as it feels like what the first game was supposed to be, and while fans of the first game and the genre will love it, the idea that there’s still so much more that could have been done is only slightly more bothersome than the fact that you paid full price for what was a tech demo of this game a year ago. The single player modes are as good as ever, absolutely, and the multiplayer modes are significantly more in-depth than before, making this game a great investment for the fun to be had if nothing else. The story is more of an actual story this time around as well, the aural and visual presentation are generally rather convincing and really help to add to the ambience of the experience, and the game plays as good as it ever did and should be simple for fans of the genre and first person shooters to jump right into without a problem. The game still shows the potential for more to be done with it, however, as the characters are indistinguishable from one another and the weapons still aren’t varied enough to be exciting through the whole game. Further, the game feels less like a full sequel and more like an improved expansion pack, which could make the game disappointing to someone who purchased the first game last year and was hoping for a significant improvement, as you won’t find it here. The game is certainly good, and it’s better than its predecessor, but the changes made to the game are either largely aesthetic or could have been added to the original as expansion packs for lower cost, leaving the game as good, but occasionally disappointing, experience. Final Score: VERY GOOD GAME. Left 4 Dead 2 is a new coat of paint and a few gameplay modes added to the first game, and while it’s still a fantastic zombie-killing romp, it’s disappointing in a few respects that occasionally make it less entertaining than it should be. The story elements have been expanded a bit, the visuals and audio are still as good as ever, and the gameplay is still rock solid. There are new implements to destroy the undead with, more gameplay modes to play around with, and overall there’s a good bit more depth to the experience, making it a good bit better than its predecessor in every way that counts, and it should please fans of the original, at least for a while. There are still some missed opportunities for depth to be added to the game, however, between the lack of real variety to the playable characters and the fact that the weapon variety isn’t dramatically improved from last year’s game. Further, the game ultimately feels like a full priced expansion pack instead of a whole new game, and while it’s a fun and enjoyable game, a lower-at-launch price point or a greater amount of variety would have helped to mitigate that; as it is, the game essentially feels like a rehash at several points, leaving the player feeling foolish for buying the first game only to have to buy a full-priced upgrade a year later. 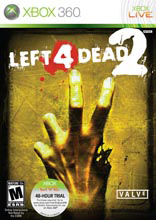 In the end, Left 4 Dead 2 is worthwhile if you’re a fan of the first game and want the improvements or you love FPS titles and want to have lots of multiplayer fun, but for anyone who wasn’t so impressed with the first that they’d want to buy it again, you can safely wait on a price drop. Left 4 Dead 2 is a fine game, as was its predecessor, but with games like Call of Duty: Modern Warfare 2 and Borderlands having been released this year, it’s simply not good ENOUGH anymore.